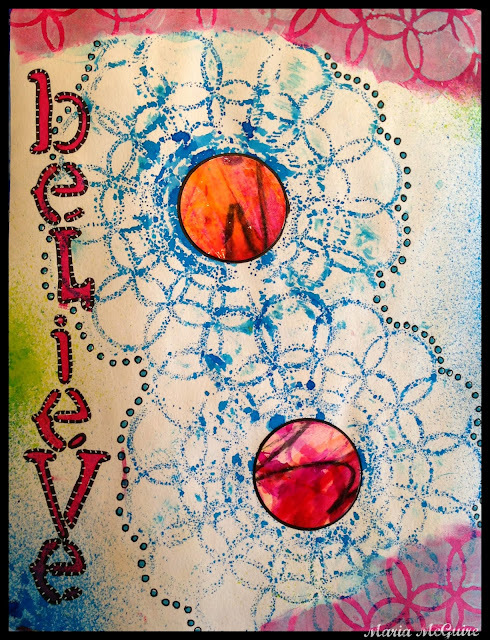 Your spray ink 2 for 1 stenciling is one of my favorite ways to get a start on a new page- I love when the art tells me what it wants! 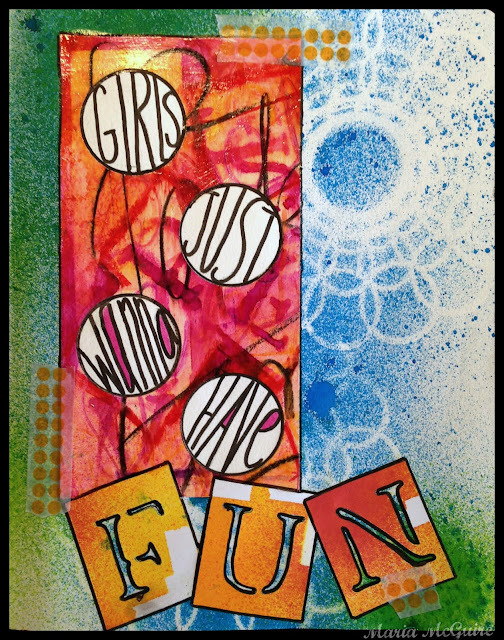 You've inspired me with your washi tape use and that is such a true quote- we do just wanna have fun! You are so comfortable with reds- love the way you've used it here- I need to stretch myself to use it more for some reason I shy away from it. it looks great, love the circles with the words in it! Love those stencil markings. The words are great! Love how you did the words and the washi tape was a great addition! !